30% of all women admit that this will probably not happen again until sometime early next year; what is it? 30% of all women admit that they do not paint their toenails between Thanksgiving and New Years. 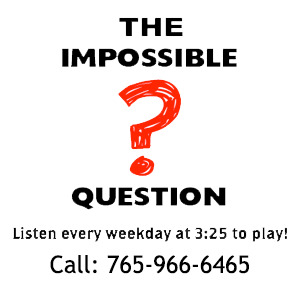 Congratulations to Cassidy Burris of Connersville, IN for being the first to correctly answer the Impossible Question!